Our Gospel reading today has to do with relationship. It may not appear to be the case when you hear it at first, but relationship is at the heart of the message of this story. To recap the story for just one quick moment, some Pharisees and teachers of the law who had come from Jerusalem gathered around Jesus. They noticed that some of his disciples were eating their food with hands that were ritually unclean, that is, they had not washed them in the way the Pharisees said people should. The scripture goes on to say that the Pharisees had many rules about such things, about what was the proper way to prepare food, to wash cups and pots and bowls, and that they had received these traditions from their ancestors. But the disciples seemed to disregard them. Two things that we need to be clear about here. First, while Jesus’ tongue-lashing of the Pharisees seems harsh, they were not evil people. They were dedicated Jews who felt a responsibility to uphold the laws and traditions of their faith. But what Jesus is saying to them is that their priorities were a little bit out of order. The Pharisees gave priority to their traditions over the commandment of God to love. And their religious traditions became replacements for carrying out God’s work of mercy and justice to the human misery of the world. Second, Jesus is not condemning the ritualistic laws. The laws had a central purpose. The important thing to understand about the rules and traditions of the elders that are mentioned here is that each rule, each tradition, was devised to help people be in close relationship to God; to forming their hearts to desire in the right way – to desire as God desires. Human beings need a sense of order to feel secure. We need laws to organize our communities. We need doctrines to articulate our beliefs. 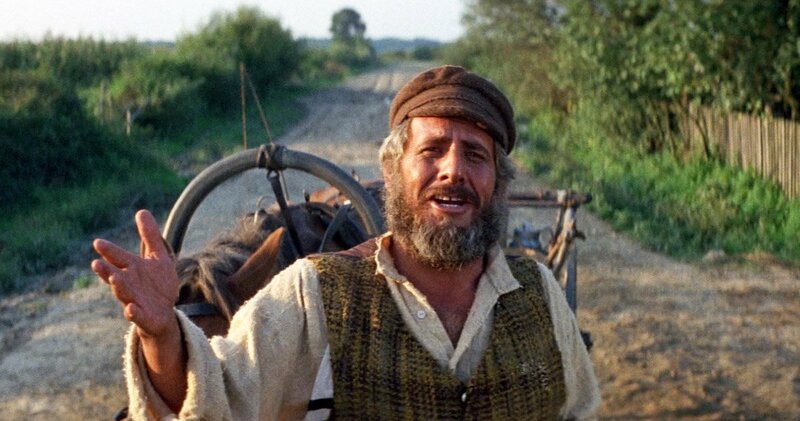 The classic Broadway musical, “Fiddler on the Roof,” gives you a feeling for the Jewish love of tradition. The Jews, especially the Orthodox Jews, have a sense of history. They love their Passover, their festivals, their rituals. The Jews are perhaps the most tradition loving people of all the people on earth. Because of our traditions, we’ve kept our balance for many, many years. Here in Anatevka, we have traditions for everything. How to sleep. How to eat. How to work. How to wear clothes. For instance, we always keep our heads covered, and always wear a little prayer shawl. This shows our constant devotion to God. You may ask, how did this tradition get started? I’ll tell you. I don’t know. But it’s a tradition. And because of our traditions, every one of us knows who he is and what God expects him to do. But tradition, doctrine, and rules, can also become instruments of judgment, of exclusion and oppression. For centuries, people, Christian people, have continued to confuse human traditions with the faith of Jesus Christ. And our challenge this morning is to recognize how we, like the Pharisees, misinterpret what is important to God. It is one thing to have restaurant employees wash their hands before returning to work after a bathroom break. But do clean hands in church make us more acceptable to God? So here are several questions to consider as you reflect on God’s Word this morning. What is at the heart of our own religious faith and Lutheran tradition? Do our attitudes and actions reflect a genuine love for God and compassion for our neighbor? Or are we morally rigid? Spiritually self-satisfied? Or, worse yet, do we have a sense of superiority to others who are different from ourselves? Only you can answer those questions. And it may not be a bad idea to evaluate our own religious practices once in a while. It is entirely possible that our religious practices have become so entrenched within us that we have forgotten their meaning or their value. Puzzled, the daughter asked her mother why? “Because that’s the way my mother taught me to do it,” said the mother. Still puzzled, the daughter went to find her grandmother. “Well, that’s how my mother taught me to do it, and it’s the way I’ve always done it,” replied the grandmother. Well, the daughter’s husband had heard all of this and he wanted to get to the bottom of the mystery. He went into the living room where the family was gathered around great grandmother. The great thing about the Christian faith is that it keeps reminding us that it’s not all about traditions. It is about God, God who loves us so much that God sent the Son to save us, to be with us, to give meaning to our lives that we could not have on our own. What I love most about Sunday is that it is a time when we celebrate what God has done for us in Jesus Christ. Sunday is a time to be touched by God through his Word and the sacraments. God in Jesus Christ still loves us in all our sinfulness, and in all our selfishness. You may not have realized this but God is at work in our midst and through us and through this and other congregations to extend the invitation to abundant life and love offered by God. God is using your lives and our words to invite others to faith. God will never withdraw God’s love from us because of our selfishness. Even though the dynamic power of love is at the heart of traditions, God’s identity and character can only be captured by sharing that love with one another, not by upholding traditions. God’s love is made complete in relationship with all of God’s children. The profound love of God draws us into relationship with God, with each other, and with the whole of creation. In the name of the Father, and of (+) the Son, and of the Holy Spirit. Amen.